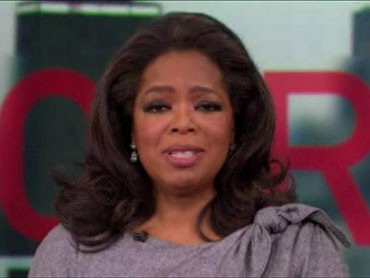 Daytime superstar Oprah Winfrey will be moving to nighttime to host a show on her new cable channel. The network announced Thursday that the hourlong show, "Oprah's Next Chapter," will release her from the studio and her longtime talk-show format for conversations and travel around the world. The show is expected to be a key ingredient of the Oprah Winfrey Network, and guarantees Winfrey will regularly appear on the 24-hour network she'll be largely programming from behind the scenes. A joint venture of Winfrey's Harpo Inc. and Discovery Communications Inc., the network signs on Jan. 1 in approximately 80 million homes. Winfrey will end her weekday syndicated talk show at the close of its 25th season in late 2011.